Our newest app, SambApp, is now available for purchase on the App Store! This project has been in development for a year–our team (Pablo, Steve, and Kate) spent months painstakingly recording the instruments, writing the code, designing the interface, and refining the audio quality of the sound clips. SambApp is a Brazilian rhythm metronome, including samba, choro, forró, and capoeira. It’s like having one or two percussionists playing for you at exactly at the speed, volume and in the style you want. 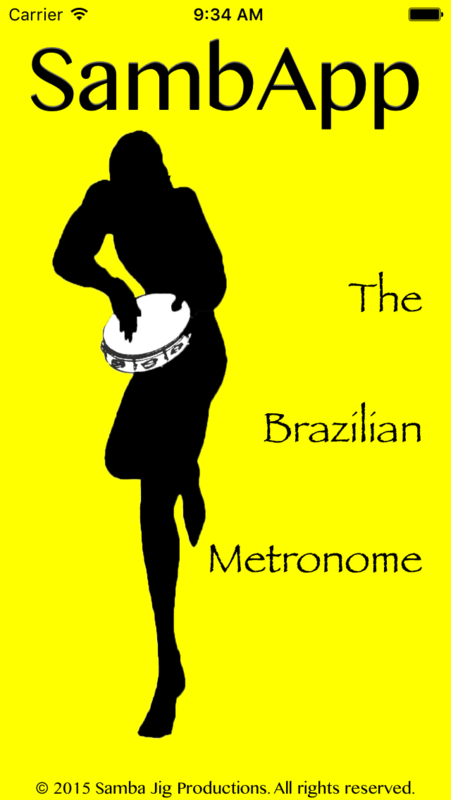 It is a tool for music or dance practice and performance, just like any other metronome, but we figured it would be much more productive and pleasurable to practice forró or samba-choro with an instrument as opposed to a metronome click. SambApp also functions as a drum machine that can be used in live settings. If you are lacking an extra percussion instrument or musician, SambApp can step in as your your pandeiro, shaker, and/or berimbau player. Check out more information about the app on the SambApp page, and visit the App Store to purchase today!